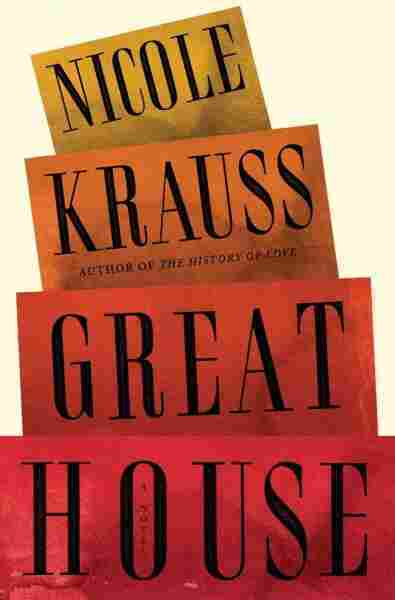 Narratives Of Grief Fill Krauss' 'Great House' Novelist Nicole Krauss artfully weaves disparate stories of love and loss into a devastating examination of the weight of memory on those left behind. Four narrators are connected by an antique desk separated from its original owner during the Holocaust. NPR reviewers recommend the best new fiction and nonfiction. Nicole Krauss' latest novel, Great House, is precisely the kind of work of art for which the phrase "oddly compelling" was invented. Like her celebrated best-seller, The History of Love, this new novel contemplates love, loss and the oppressive weight of memory on those left behind. The plot here, though, is even murkier than it was in The History of Love: Through the overcast cloud cover we're shown glimpses of a hospital room in Jerusalem; Freud's house in London; a castle filled with dead people's furniture; and a surrealistic shark suspended in a tank, wired with electrodes to absorb "the brunt of human emotions." I'm not sure what it all adds up to; I'm not even sure that Great House has one cohesive theme. But I'm willing to tolerate this confusion because of the isolated moments of psychological illumination that Krauss provides through her startling language. Reading Great House is like being lost in a pitch black room (an image that Krauss gives us more than once here) and then suddenly having a dusty corner of that room brilliantly lit up and exposed. The bewildering tales told by the four narrators in this novel all have something to do with a massive antique desk that's passed through various homes ever since it was separated from its original owner in the Holocaust. One of the desk's first onlookers describes it as "more like a ship than a desk" and says it "bull[ied] the other pathetic bits of furniture [in the room] to the far corner." 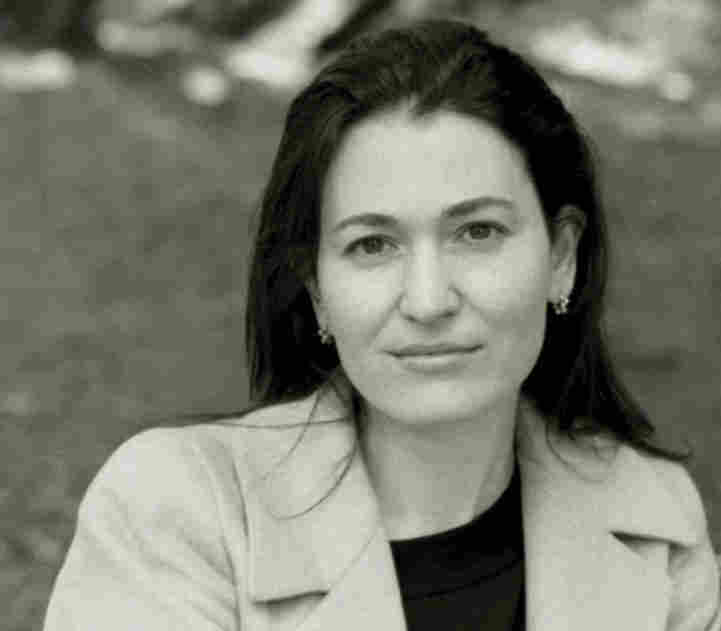 Nicole Krauss is the author of The History of Love and Man Walks Into A Room. Her fiction has been published in The New Yorker, Harper's and Esquire. She lives with her husband, the writer Jonathan Safran Foer, in Brooklyn. [I thought] of our life together, Lotte's and mine, [and] how everything in it was designed to give a sense of permanence, the chair against the wall that was there when we went to sleep and there again when we awoke ... though in truth it was all just an illusion ... just as our bodies are an illusion, pretending to be one thing when really they are millions upon millions of atoms coming and going ... as if each of us were only a great train station ... no, it was worse than that, more like a giant empty field where every day a circus erected and dismantled itself, the whole thing from top to bottom, but never the same circus, so what hope did we really have of ever making sense of ourselves, let alone one another? The desk is the motivating cause for many of the similarly harsh epiphanies in this novel, but it doesn't -- in the way of midcult sentimental fiction -- unify the fragmented narratives here into one master plot. Given that so many of the tales in Great House are concerned with devastating loneliness, it wouldn't make sense for them to be ultimately stitched together. Despite its deep sadness, however, Great House is also an exhilarating read because of Krauss' unconventional style of storytelling. Although most of her characters are prisoners of the past, Krauss herself is a fiction pioneer, toying with fresh ways of rendering experience and emotion, giving us readers the thrill of seeing the novel stretched into amorphous new shapes. Your Honor, in the winter of 1972 R and I broke up, or I should say he broke up with me. His reasons were vague, but the gist was that he had a secret self, a cowardly, despicable self he could never show me, and that he needed to go away like a sick animal until he could improve this self and bring it up to a standard he judged deserving of company. I argued with him -- I'd been his girlfriend for almost two years, his secrets were my secrets, if there was something cruel or cowardly in him I of all people would know -- but it was useless. Three weeks after he'd moved out I got a postcard from him (without a return address) saying that he felt our decision, as he called it, hard as it was, had been the right one, and I had to admit to myself that our relationship was over for good. Things got worse then for a while before they got better. I won't go into it except to say that I didn't go out, not even to see my grandmother, and I didn't let anyone come to see me, either. The only thing that helped, oddly, was the fact that the weather was stormy, and so I had to keep running around the apartment with the strange little brass wrench made especially for tightening the bolts on either side of the antique window frames -- when they got loose in windy weather the windows would shriek. There were six windows, and just as I finished tightening the bolts on one, another would start to howl, so I would run with the wrench, and then maybe I would have a half hour of silence on the only chair left in the apartment. For a while, at least, it seemed that all there was of the world was that long rain and the need to keep the bolts fastened. When the weather finally cleared, I went out for a walk. Everything was flooded, and there was a feeling of calm from all that still, reflecting water. I walked for a long time, six or seven hours at least, through neighborhoods I had never been to before and have never been back to since. By the time I got home I was exhausted but I felt that I had purged myself of something. She washed the blood from my hands and gave me a fresh T-shirt, maybe even her own. She thought I was your girlfriend or even your wife. No one has come for you yet. I won't leave your side. Talk to him. Not long after that R's grand piano was lowered through the huge living room window, the same way it had come in. It was the last of his possessions to go, and as long as the piano had been there, it was as if he hadn't really left. In the weeks that I lived alone with the piano, before they came to take it away, I would sometimes pat it as I passed in just the same way that I had patted R.
A few days later an old friend of mine named Paul Alpers called to tell me about a dream he'd had. In it he and the great poet César Vallejo were at a house in the country that had belonged to Vallejo's family since he was a child. It was empty, and all the walls were painted a bluish white. The whole effect was very peaceful, Paul said, and in the dream he thought Vallejo lucky to be able to go to such a place to work. This looks like the holding place before the afterlife, Paul told him. Vallejo didn't hear him, and he had to repeat himself twice. Finally the poet, who in real life died at forty-six, penniless, in a rainstorm, just as he had predicted, understood and nodded. Before they entered the house Vallejo had told Paul a story about how his uncle used to dip his fingers in the mud to make a mark on his forehead -- something to do with Ash Wednesday. And then, Vallejo said (said Paul), he would do something I never understood. To illustrate, Vallejo dipped his two fingers in the mud and drew a mustache across Paul's upper lip. They both laughed. Throughout the dream, Paul said, most striking was the complicity between them, as if they had known each other many years. Naturally Paul had thought of me when he'd woken up, because when we were sophomores in college we'd met in a seminar on avant-garde poets. We'd become friends because we always agreed with each other in class, while everyone else disagreed with us, more and more vehemently as the semester progressed, and with time an alliance had formed between Paul and me that after all these years -- five -- could still be unfolded and inflated instantly. He asked how I was, alluding to the breakup, which someone must have told him about. I said I was ok except that I thought maybe my hair was falling out. I also told him that along with the piano, the sofa, chairs, bed, and even the silverware had gone with R, since when I met him I'd been living more or less out of a suitcase, whereas he had been like a sitting Buddha surrounded by all of the furniture he'd inherited from his mother. Paul said he thought he might know someone, a poet, a friend of a friend, who was going back to Chile and might need a foster home for his furniture. A phone call was made and it was confirmed that the poet, Daniel Varsky, did indeed have some items he didn't know what to do with, not wanting to sell them in case he changed his mind and decided to return to New York. Paul gave me his number and said Daniel was expecting me to get in touch. I put off making the call for a few days, mostly because there was something awkward about asking a stranger for his furniture even if the way had already been paved, and also because in the month since R and all of his many belongings had gone I'd become accustomed to having nothing. Problems only arose when someone else came over and I would see, reflected in the look on my guest's face, that from the outside the conditions, my conditions, Your Honor, appeared pathetic. Excerpted from Great House by Nicole Krauss. Copyright 2010 by Nicole Krauss. Excerpted by permission of W.W. Norton and Company.